Our second meeting was held Oct. 29 from 7:30 to almost midnight. We had 15 people attend, again several people showed up early. Nestor popped in several times. The agenda had a Halloween flavor. 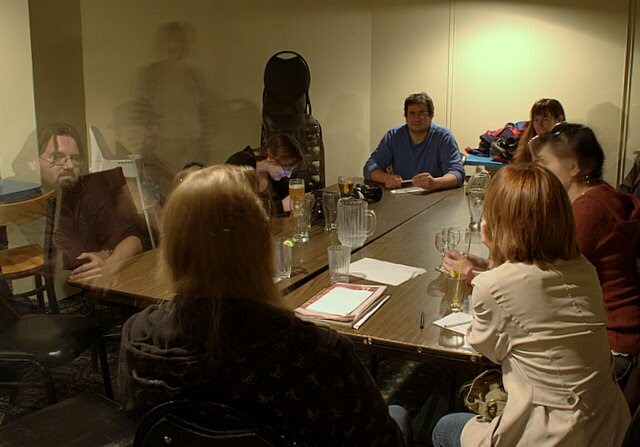 It included discussions of supernatural creatures, EVP and ghost pictures and videos. Unfortunately we got bumped from the back room and end up in a noisy smaller room. This made listening to the EVPs even harder. Carmen had some "ghost" pictures that she had taken. Camera strap in picture, dust or cotton strands in front of the lens. 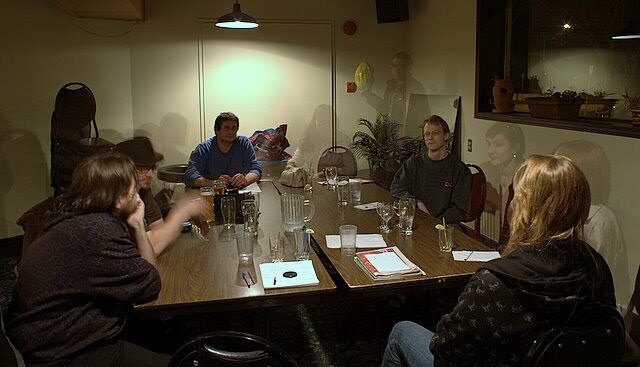 We played guess the EVP with about 10 EVPs from American Association of Electronic Voice Phenomena Online Listening Trial. The results can best be described as hilarious. With approximately 10 people playing we rarely go more than one hit on one word, and what was hear rarely had anything to do with the supposed message. 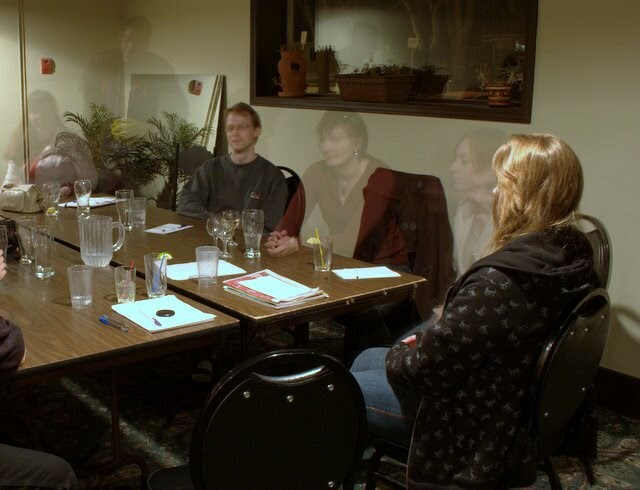 We had problems with attendees fading in and out of existence. Too close to All Hallows' Even? People in the hard glare of a flash.